Much of the support for the Ministry of Caring comes from other community organizations. 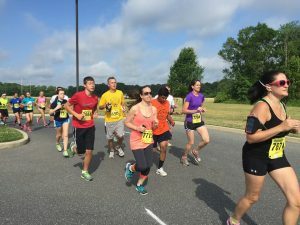 These partners host events and fundraisers to donate proceeds to the Ministry and raise awareness for our vision that the poor should never be treated poorly. If you or your organization would like to partner with us, please email our Development Director, Priscilla Rakestraw, or call her at (302) 652-5523. Click each category below to see event details. 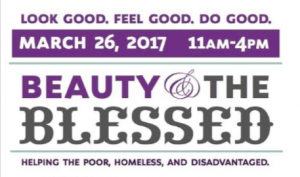 The Currie Hair, Skin, & Nails spas at Glen Mills and Justison Landing will open their salons for a special “Beauty and the Blessed” Fundraiser event to benefit the Ministry of Caring. The proceeds generated by this unique beauty event will help the Ministry of Caring in its service to the poor, homeless, and disadvantaged. Spring is on the way! 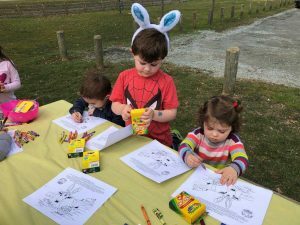 Join Woodside Farm Creamery in spreading some sunshine by participating in “Color for Caring”. Print out the picture on their website and put your “artists” to work. For every colored picture that is returned to the Creamery before Easter, Woodside Farm will make a donation to MOC. We will also hold a wrap-up event to color together and enjoy some delicious ice cream. We hope to see you there! 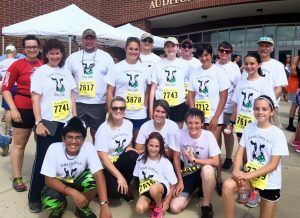 Join us this year at at the Buffalo Wild Wings in Dover (680 South Bay Road) for the annual Milk Run/Walk, hosted by the Delaware Farm Bureau! 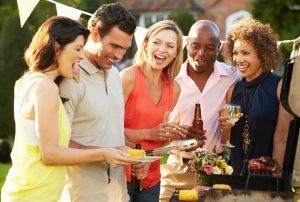 This event raises money for the Ministry of Caring’s “Milk for Children Fund” and Neighborhood House, a local nonprofit that helps struggling families get back on their feet. Proceeds from the event help Emmanuel Dining Room serve a nutritious glass of milk to every child in need. Register or donate here. Join us for the Town of Whitehall’s annual Family & Fireworks Night: Benefit for the Ministry of Caring! There will be fun family activities, amazing food, and of course a spectacular fireworks show! 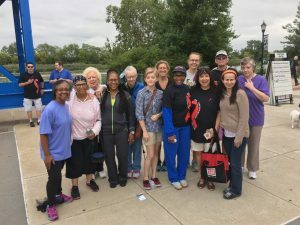 Every year, the Ministry of Caring teams with AIDS Delaware to participate in the AIDS Walk to benefit House of Joseph II, our housing program for people in advanced stages of HIV/AIDS. In the 2016 Walk, we were able to raise over $3,000! Click here to donate or join the walking team. To find out more about AIDS Delaware, their website can be found here. For more information, please contact event chairwomen Gale Kostas at jgkostas@msn.com or Athena Rochonchou at athenaroc@aol.com. Every pie sold during the annual Thanksgiving “Easy As Pie” Fundraiser helps the Delaware HIV Consortium and the Ministry of Caring’s House of Joseph II continue their work improving the lives of people living with HIV/AIDS. Please support us by telling your friends, family and coworkers about the sweetest Thanksgiving fundraiser around. Go ahead and indulge in a good cause — your tastebuds will thank you. 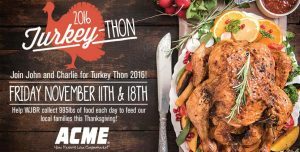 When Thanksgiving rolls around, radio station 99.5, WJBR wants to ensure that the guests at Emmanuel Dining Room have plenty to eat. In 2016, their goal was to collect 995 pounds of food and they ended up with 1,665 pounds. Stop by to donate non-perishable goods and show your support for homeless and low-income families in the Wilmington area. We are always grateful for the contributions! Every December, generous and enthusiastic rowers from the Wilmington Rowing Center decorate boats, don holiday costumes and take on the Christiana River as they give back to the community in this spirited, light-hearted event — always drawing a hearty crowd of participants, donors and spectators. All proceeds benefit the Ministry of Caring. Santa Row has become a popular holiday tradition for Wilmington Rowing Center as well the City of Wilmington. Since its debut in 2001, the festive and much-appreciated event has raised more than $100,000 to support the Ministry of Caring and raised $7,965 in 2018. Mark your calendars for Santa Row 2019 on December 7!